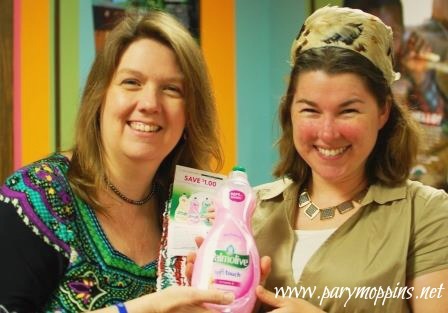 *As a part of Influenster, I was sent two bottles of new Palmolive Soft Touch dish liquid to review and give to a friend. All opinions, awesome husband, and sweet friend are my own. Engineer is the official dishwasher of The Little Pink House. Yep, ladies. You can be a little jealous. Just a little and not a lot jealous since if we eat off of china, then I'm the dishwasher. We eat off of china fairly regularly. Washing china is not my favorite job. So on Mother's Day, I shared the Vitamin E variety with Operina along with a coupon and dishcloth that I had knitted. Because we all know that nothing says "Happy Mother's Day!" like stuff with which to do dishes. I kept the aloe version to use here at The Little Pink House. The first time Engineer used it he was really impressed with the amount of suds and said how when other dish soaps say "concentrated" they usually aren't so much whereas the Palmolive was super concentrated. As far as I'm aware, the motto "Tough on Grease, Soft on Hands" still rings true. 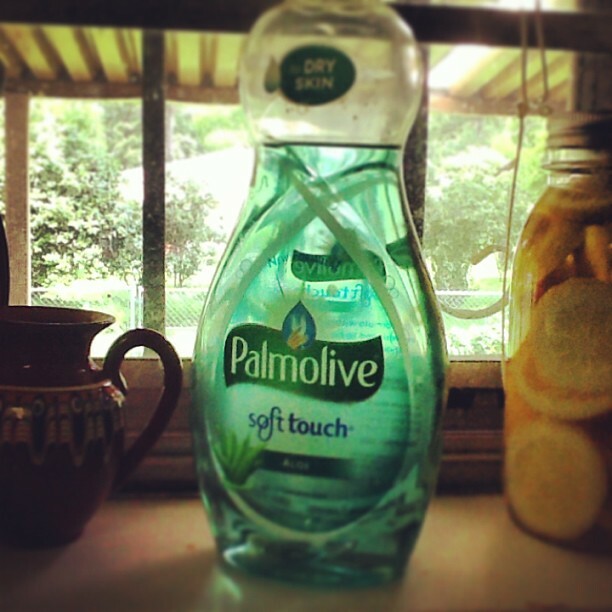 The new Palmolive Soft Touch dish soap is available at Wal-Mart.